It’s fitting that Lisbon sits high atop seven hills. It is, after all, the beacon to which all visitors to Portugal are drawn. And with reason. 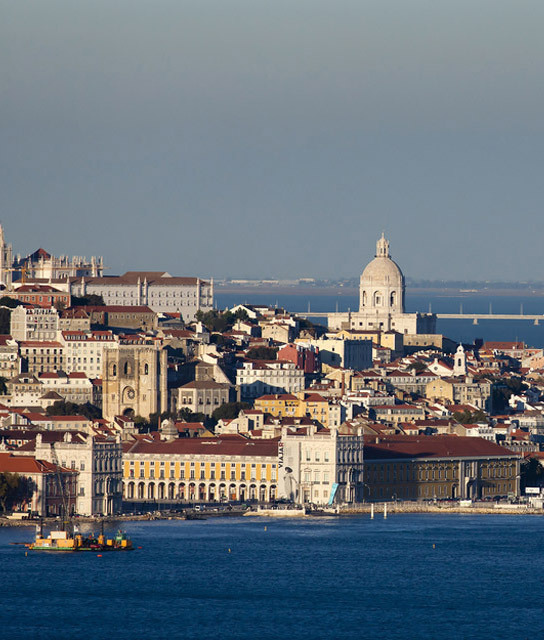 This visually stunning capital offers an enticing mix of history (gothic cathedrals and age-old monasteries), culture (charming museums and districts, such as Bairro Alto with numerous bars, restaurants, and soulful fado music), and a glorious cityscape to discover, featuring wide boulevards, river views, Moorish alleys, and crowded Lisbon hotels. And it is all bathed in a comfortable Mediterranean climate, which makes Lisbon that greatest of things—an outdoor city to discover, either on foot or in the comfort of 1930s-era cafés. Friendly, laidback with one eye on the future while another clings to the past (it is, after all, the oldest city in Western Europe), Lisbon enchants visitors, which is perhaps why hotels in Lisbon are always so full. Below find a list of our selection of boutique and luxury Lisbon hotels. In the heart of Lisbon’s trendiest neighborhood—amid gardens, tranquil squares, and a vibrant social scene—sits the area’s first five-star luxury boutique. A gateway to old and new Lisbon, the Altis Belém Hotel & Spa offers its own enchanting microcosm of exotic journeys, cuisines, and more. Experience old-world Lisbon like a local in an 1800s neighborhood hotel offering unmatched views of the city and Tagus River.